It’s 6 days since I have started this blog and I’m slowly learning the blogging do’s and dont’s. Even though my original intent for this blog was to create an online diary of eggless baking recipes, I also want to share some of my family favorites now and then. That in mind and with my mother in law visiting us I wanted to record her recipe for a very easy and tasty garlic pickle before she leaves for India in April. So I was pleasantly surprised to know that this month’s JFI was Garlic. So this has given me a nudge to do it immediately without procrastinating. Thanks Mathy. But first a short story about the origin of garlic. I read it in a book by an Ayurveda Doctor. I wanted to share it with everybody beacause it was very interesting. Devas and Asuras churned the paarkadal (the Mighty and Heavenly Ocean) to derive Amirtham (Celestial Nectar). Lord Vishnu gave the Nectar to the Devas. But 2 of the Asuras, Rahu and Ketu disguised themselves as Devas and consumed the nectar along with the other Devas. Lord Vishnu came to know about this only after they consumed the nectar, so he used his Chakrayudh and cut off their heads. While doing so, their blood mixed with the nectar, dropped from the Asuras’ bodies to the ground and 2 plants sprouted off that. The plant that sprouted from Rahu’s blood was Garlic and the one that sprouted from Ketu’s blood was Onion. Hence both garlic and onion are considered to have both good and bad qualities, actually 50:50. 1. It should not be consumed daily. Weekly twice is okay. 2. 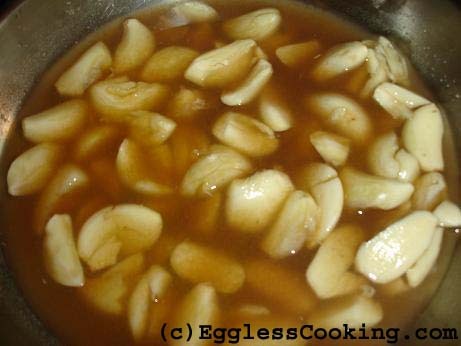 It should be consumed along with ghee to offset the heat garlic generates. 3. Its consumption should be limited during summer. 4. Women should not consume it during their menstrual cycle and when pregnant. 1. It’s good for heart disease. 2. It helps hair growth. 3. In children it increases memory power and sharpens eyesight. 4. It aids in digestion. 5. Women after giving birth can eat garlic regularly by frying it in ghee to get back their pre-pregnant stomach. The information provided above is from a book I read and its not my finding. 1. Take 1 cup of garlic cloves. If the cloves are very big give them a smack using a chef’s knife or rolling pin. If the cloves are very small you can just leave it as they are. 2. 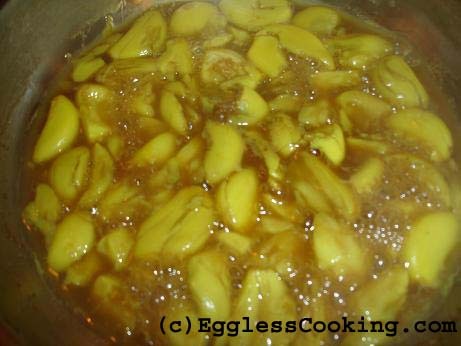 In a small frying pan add the garlic cloves, tamarind paste, water, turmeric powder and a pinch of salt. 3. Cook it on medium heat until the cloves are well cooked but not very mushy. It took exactly 20 min on my electric range. 4. Now drain the remaining water and transfer the garlic to another small bowl, so you can use the same frying pan for tempering after wiping it dry. 5. Add 1.5 tbspn of sesame oil and temper mustard seeds. 6. 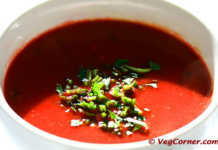 Immediately add the fenugreek powder, hing, chilly powder and the cooked garlic cloves and fry for a minute. 7. Reduce the flame and add 2 tspns of salt and the remaining 2 tbspn of sesame oil. Fry for 2-3 minutes. 8. Turn off the heat and transfer it to a dry container. 1. I have given the measurements for salt and chilly powder according to our taste. So you may want to change it to suit your palate. 2. For fenugreek powder, dry roast fenugreek and powder it. 3. 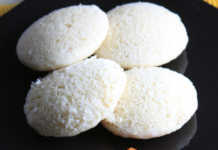 Try this recipe just to experience the aroma that comes after adding the chilly powder and other powders. It’s very very appetizing. That’s a good idea Naj. like 2 try this recipe thats why asking… thank you. Hi Naj, the water was very little and moreover pickles will not have extended shelf life if it has water. So may be that’s also the reason. I am going to try out this recipe today. But as a breastfeeding counsellor I have never heard that women should not eat garlic when breastfeeding. Amanda, I think you have read it wrong. I have written that (i read in the book) women should not eat garlic while pregnant and can eat after the delivery of the baby. Actually eating garlic while breastfeeding increases the supply of milk, that’s what they tell in India. We had got really tired of eating the store bought garlic pickle. 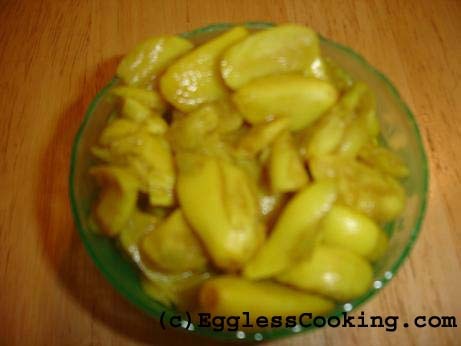 So, was looking for a easy and tasty garlic pickle recipe and I found your’s. Your recipe does LOOK easy and tasty. Have to try this now. Thnx for the recipe….. I have a book “Udale Relax Please”, Vikatan Publications, by Ayurveda Dr K G Raveendran. All the information I have given about Garlic is mentioned there. It’s a very informative book with lot of home remedies. It was given by my mother during my pregnancy. Give the recipe a try – you would definitely love it! Is it in Tamil? Tried to find that book, can only find a Tamil version. If you have any other book recommendations for pregnant women (and ayurveda) then please share. 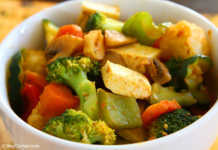 Great Recipe, was looking for a garlic pickle recipe after our ayurvedic doctor told us to have it. Also, where is it mentioned that we shouldn’t have it more than twice a week? We normally eat sattvic, so don’t have it in general, but I am interested to know where it is written. Is it mentioned in Caraka?.. Yes it is a book in Tamil. If I remember right it was mentioned that garlic produces heat in the body and it should be avoided during pregnancy and menstrual cycle. I don’t have that book now. By the way, “Pregnant women should not consume garlic” is news to me. Where did you find that information? Just curious. I think it is correct only. As garlic contains anticoagulation property (makes the blood thin), it is helpful for heart patients, but not good for pregnant women as bleeding complications can occur if the blood becomes too thin to coagulate. You’re welcome. Usually I buy lime pickle from Indian store. I will ask my mother in law if she has any time tested traditional lime pickle recipe and let you know. Anyway you should try this one, it’s simply delicious. Let me know if you liked it. Glad to know that you are enjoying my site. Thanks. Thank you for this recipe. I love pickle, and especially Indian pickle. 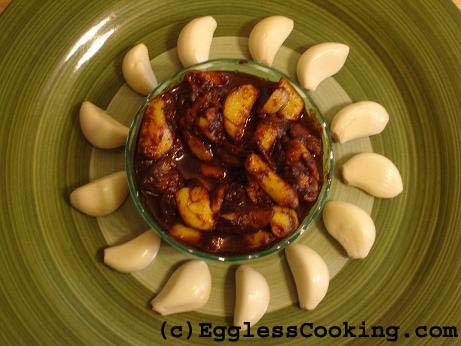 Do you have a traditional recipe for lime pickle? I mean the kind where it is put out in the sun? I’m a sucker for making things in traditional ways. If not, that’s okay. I’m enjoying your site.